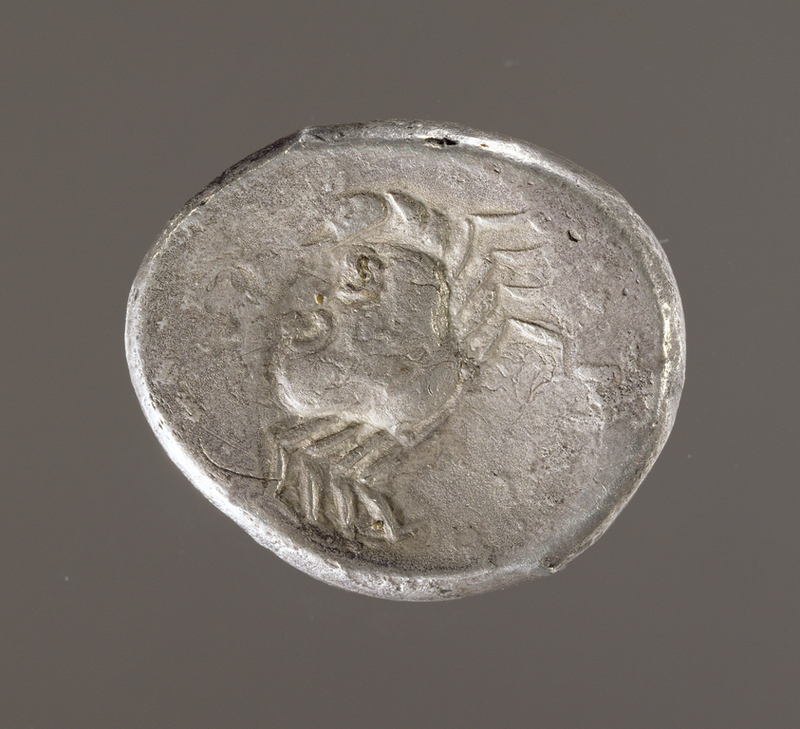 A standing eagle on the front and a crab on the back decorate this four-drachma coin, a tetradrachm. 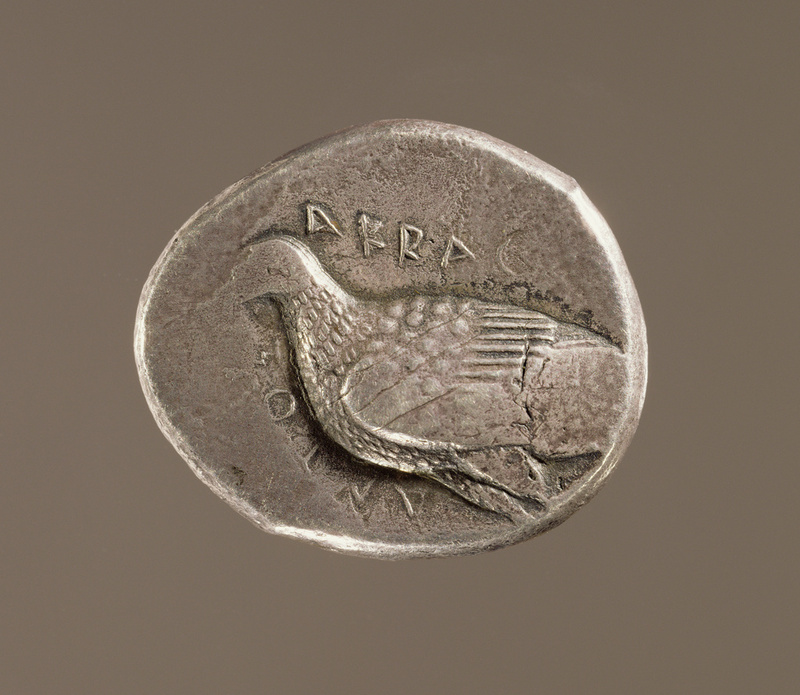 This decoration was typical of the coinage of the city of Akragas for nearly a century, from about 510 to 420 B.C. Colonists from the Greek city of Gela founded Akragas on the south coast of Sicily about 580 B.C. About seventy years later, Akragas, like many other Greek cities, began to issue coins bearing the city's symbols, often animals. In mythology the eagle symbolizes the Greek god Zeus, to whom a large temple was dedicated in Akragas. The white-tailed sea eagle, principally a fish-eater, inhabits the sea coasts and inland waters of Europe and Asia. The crab seems to be a fresh-water variety, probably representing the local river and lake environment. The Greek inscription on the front is a form of the city's name, Akragantos, meaning "of Akragas." Chester B. Franz (Bayview, Missouri), donated to the J. Paul Getty Museum, 1980. Spivey, Nigel and Squire, Michael. Panorama of the Classical World (Los Angeles: Getty Publications, 2004), p. 225, fig. 359.